Bank of Canada governor Mark Carney has accepted the position of governor of the Bank of England, Finance Minister Jim Flaherty says. Bank of Canada governor Mark Carney will be the next governor of the Bank of England, Finance Minister Jim Flaherty announced Monday morning. Flaherty said that Carney's advice had "kept Canada strong," pointing out, as he often does, that Canada has the best record for fiscal stability in the G7. This is the first time a foreign national has been head of the Bank of England, Flaherty said, underlining how unconventional this appointment is. Carney will continue to serve as governor of the Bank of Canada until June, and will take up his new job on July 1. Carney said he and Flaherty had enjoyed an effective partnership and added he will miss the camaraderie and clear sense of purpose he experienced with the finance minister. He praised the strength of the central bank and reiterated his confidence in it. A smiling Flaherty said this moment is "bittersweet," and that the loss of Carney will be felt in Canada. Carney's rumoured appointment to the Bank of England was the source of published reports last spring, and at the time he and the Bank of Canada denied the reports. "I'm totally focused on my two responsibilities: as governor of the Bank of Canada, and the Financial Stability Board," Carney told reporters on April 18. "I can assure you they add up to more than every waking hour of the day." On Monday, Carney said this is a crucial time in Europe for global financial reform and that London is the centre of that system. The discussions about the job intensified in the past two weeks, he said, and he was able to assess the unity and cohesiveness of the financial system at home before he felt confident he could accept the new position. Flaherty said he can understand the challenge the Bank of England offers Carney. A few months ago, it was also heavily rumoured Carney might leave the central bank to seek the Liberal leadership, an idea he basically laughed off at Monday's press conference. It is highly unusual for a bank governor to leave in the middle of a term, and clearly Flaherty did not want to express any anxiety that might affect the markets. CIBC World Markets immediately issued a statement reassuring its customers: "It's unclear that any likely replacement would have a markedly different take on monetary policy in the near term, as Canada will still need faster growth than we've seen to justify higher rates." 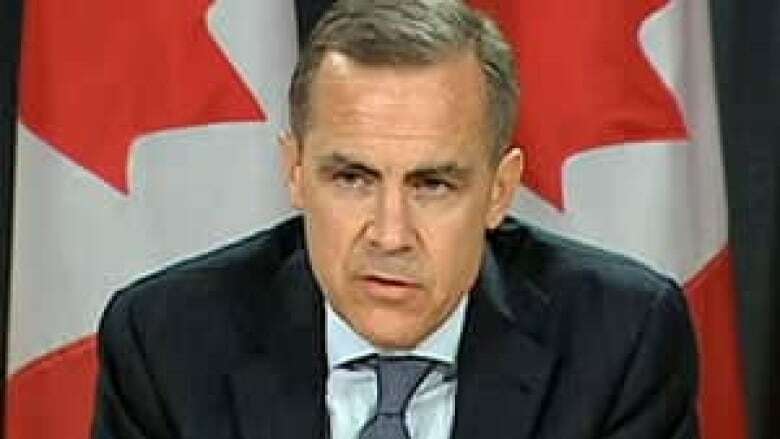 The release described Carney as "hawkish in action but dovish in words." Carney said he has many ties with the U.K., pointing out he spent a decade there and his wife is a dual British-Canadian citizen. It's important that the U.K. economy do well, he said, and its success is important for Canada. The "challenges are greatest there," he said.